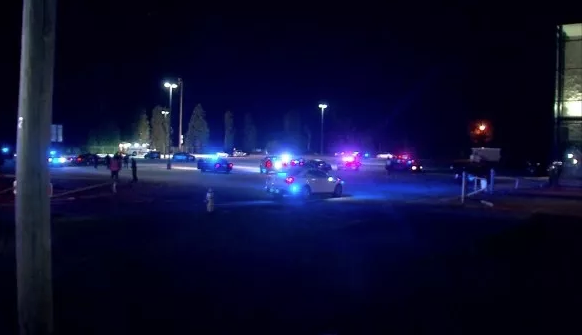 Police in Clayton County south of Atlanta say one person was killed and another wounded in a shooting between people who had just attended a high school graduation ceremony. A police statement says "one person is now confirmed deceased." "All of the sudden, we all heard a series of gunshots," witness Shannon Delgado told CBS Atlanta affiliate WGCL. "We didn't know where they were coming from. Everybody just kind of froze, then we didn't hear police, we heard more gunshots, but like a lot, like, 'Pow, pow, pow, pow.' That's when we saw the cops, who were on the premises where the graduation was rush across the street because they were in the high school parking lot." The safety chief for the county's schools, Thomas Trawick, says the shots were fired in a Mt. Zion High School parking lot after an argument between people who had attended a ceremony for graduates of the Perry Learning Center, which prepares students for careers as an alternative to traditional high schools. The shooting occured just hours after 10 people were killed at Santa Fe High School in Texas.